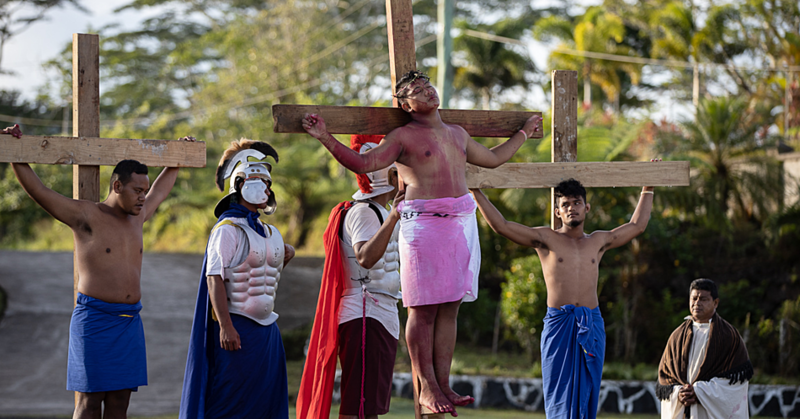 This year marked the 60th Anniversary for St Mary’s College in Vaimoso. A celebration filled with laughter and joy from students and ex-students of St Mary’s College from here and abroad. Sharing jokes, reminiscing on the past and creating more life-time memories that will be treasured forever. Among the celebrants were ex-students from the Class of 1991 who commemorated their 25th Anniversary Class reunion. This took place on the 2nd – 5th of September, 2016 and was hosted by class members residing in Samoa. 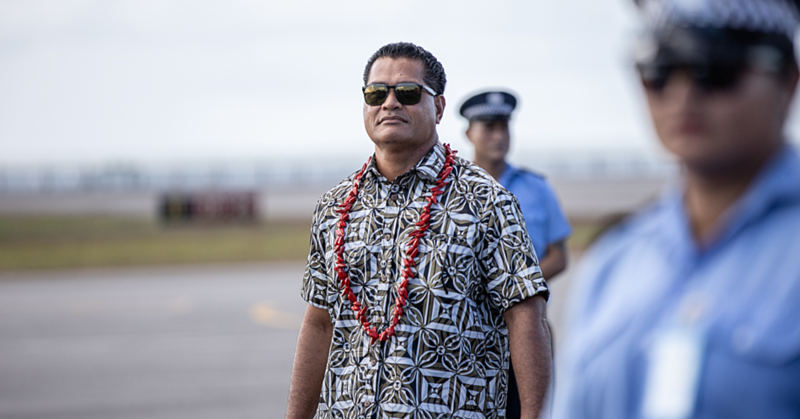 As part of their reunion programme, the class extended their ‘Agaga Kerisiano” by organising a donation of $1000.00 for the home of the elderly at Mapuifagalele. This had been gifted on Thursday 8th of September which also marked the birth date of Our Lady of the Rosary, Virgin Mary Mother of God. Class representative Mrs. Lusila Afano-Lo Tam spoke on behalf of the class and the cheque was received by Sr. Josephina Chan Ting as representative of their Mother Superior who was not present on the day. 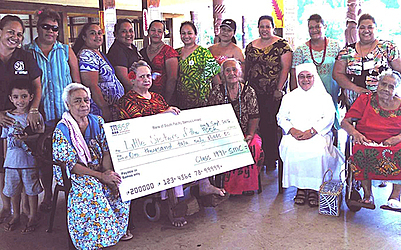 A senior resident of Mapuifagalele, Mrs. Telesia Tele’a thanked and blessed all ladies of the SMC Class of 1991 for their generous donation. One of the class members Julia Lemisio-Sititi said she is extremely happy that our elderly are under the safe and loving care of the ‘Little Sisters of the Poor’ and that this donation will assist them. After the success of this one the SMC Class of 1991 is planning to have their next reunion in Gold Coast, Australia in two years’ time.